I was introduced to Betty Jane Hegerat’s work through a mutual friend, Susan Toy, who I met through a Humber writing program some years ago. A small group of us have kept in touch and Susan, who owns and runs Alberta Books, regularly fills us in on what’s new and brilliant, book-wise, in the western half of the country. Over the years I’ve come to value her judgment. Hegerat’s The Boy was no exception to her exceptional taste. The story, based on real events—the murder of a family in 1959 rural Alberta—is told in three interconnected parts: i) fiction (Louise’s story; she’s stepmother to Danny, a difficult and troublesome boy), ii) creative non-fiction (this is Daisy’s story, the real-life mother of five, whose stepson, Bobby Cook, ‘the boy’ of the title, was convicted of murdering his family and became the last person to have been hung in Alberta, though there remains much doubt about his guilt…), and iii) a memoir of the author’s journey through the research and writing of the book, during which time she develops a relationship with the fictional character, Louise, who makes regular appearances throughout, prompting Hegerat to storylines and directions she’s reluctant to pursue. The reader is privy to all these ‘conversations’. It sounds complicated. It isn’t. At least not for the reader. As a piece of writing, it’s quite a feat; Hegerat’s use of structure alone is inspirational. (I challenge anyone to suggest a better way of telling this story.) The three perspectives (as well as comments by fictional Louise—this is such a mad and wonderful component!) eventually merge and, seen as a whole, we realize that it’s not just about the boy, but about everyone else, about the way we judge, the roles we play, the things we protect and why. The subject is disturbing, yes, not the least for its setting in the most ordinary of lives, but at the end of the day, the story is less about murder and more about compassion, small-mindedness, fear, what it is to be a woman, a mother, a friend, a neighbour. We all have an influence on each other’s lives and no matter our circumstances, we really aren’t that different— which, if you think about it, is both comforting and frightening. And now, without further ado… I give you Betty Jane Hegerat. BJH—The orphans. Although I had two loving parents and a perfectly fine childhood, I was drawn to what my librarian daughter refers to as the “plucky orphan genre” in children’s literature. Anne, of course. Elnora from Girl of the Limberlost, an old chestnut that’s not remembered by anyone but women my age and older. Elnora had a mother but she was a cold one. I adored Heidi, and longed to sleep on a straw mattress and breakfast on warm goat’s milk and hard black bread. Amazing what we romanticize as children. 2. Can you recall one of your earliest poems, stories (or hand-made book with finger-painted illustrations…)?? BJH—No hand-made books in the archives, but I do remember writing drippy poems, and being heavily influenced by whichever author I was reading. Memorizing poetry was part of school in those days and I remember writing a Wordsworth-inspired poem about a meadow full of tiny violets—no daffodils on the Canadian prairies. When I was in grade six I won a contest with a story about a teenaged boy who helped Grandpa stand up to the rest of the family and save the farm. Maudlin, but apparently I had a way with words if not with realism. In high school I tried desperately to write in the style of Salinger. BJH—I read voraciously when I was a teenager, and my tastes ranged wide. To Kill a Mockingbird stayed with me forever. So did Catcher in the Rye. My parents were blessedly unconcerned about my choices in reading, and never censored. I read Lady Chatterly’s Lover when I was in my early teens and a steamy book called Harrison High was making the rounds when I was in high school. I totally bought into Ayn Rand, but I was probably older than fifteen when I read The Fountainhead. It wasn’t until university that I discovered Canadian authors. 4. Can you share a favourite passage from any book? BJH—Too hard, this question! If I did choose a passage, I know that within minutes I’d remember another and want to change it and that would go on for days. 5. Do you find recurring themes in your work that surprise you? BJH—I’m a social worker by profession, and I’ve struggled long and hard with issues of privacy and confidentiality and ownership of some of the stories I’ve felt compelled to write as fiction. Both of my novels were directly influenced by my social work experience. Running Toward Home is the story of a lost child and I suspect written in homage to the children over whom I’ve grieved. Delivery explores adoption. It seemed I needed to write both of those stories, and then, to move on to picking at the bones of “ordinary” families, looking for the secrets and lies, trying to answer the unanswerable question of why things run amok. When I was writing The Boy, I realized that in the short fiction I was playing with at the same time — I never work on just one project, and short story was a good way to disengage from murder and mayhem now and again—forgiveness seemed to be a common thread. Looking at those stories more recently, and contemplating finally getting back to work, I’ve also found that I’ve been exploring isolation in its many forms; everything from blissful solitude to anomie. 6. I’m curious about the reading/writing balance. Are there certain times you avoid reading during the course of a project, or certain projects where you read only certain things? In the case of The Boy, I can imagine your research was an almost complete immersion for a period of time. During the years you were working on the book, were you able to read much at all that was unrelated to the Cook case? BJH—I never stop reading. The research I did on the Cook murders was relentlessly grim. Late night has long been my best writing time, but I learned very soon after I began obsessing over the story, to push away from it long before bedtime. An evening of reading was the best way to escape. I always have a pile of books at hand, but because I was back and forth for a long time on whether to write this story as fiction or non-fiction, I was looking for other work that was written around true crime. I picked up In Cold Blood again, Ann Marie McDonald’s As the Crow Flies, Margaret Atwood’s Alias Grace, Meyer Levin’s Obsession. One of the most disturbing books I read at the time, even more disturbing than the research I was doing, was Lionel Shriver’s novel We Need to Talk About Kevin. 7. Louise is a truly ‘magical’ element in this story. Do you think you could have written the book without her? Did you ever worry she might stop showing up? BJH—No, the book would never have been written without Louise’s irritating insistence that I tell her story. The fiction began before the non-fiction. I’m quite sure it was Louise’s story that triggered my memory of the Cook case. Quite the opposite of worrying that Louise would disappear, I kept hoping she would so I could either write the book as non-fiction or walk away from it entirely. I certainly didn’t want to write true crime, nor had I aspired to work in creative non-fiction. When I finally acknowledged that Louise wasn’t going away, I gave myself permission—against all of the counsel I was getting from respected mentors—to create this hybrid of fiction, non-fiction, and memoir. 8. There’s a powerful sense of foreboding in each of the storylines, not the least of which is how you, the author, feel throughout. You say, of an early draft, that you had only sketched out a little about the character Louise— where she was from and so on and had a general idea where you’d take things, but then you say… “Churning underneath that small cache of information… was a darkness I felt too cowardly to explore.” In fact, you were so uncomfortable you wanted to make Louise into a quick short story and be done with her. You refer to your apprehension as both an “obsession” and something that was “pushing you away”. Yet Louise wouldn’t leave you alone. (Thank goodness!) Here’s the thing: usually fear is a good sign in the writing process… where the meat of the story lives, but it sounds like this was something different. Was it? BJH—Yes, that is indeed the “thing” and I struggled with that as well, with knowing the value of “writing down the bones.” I’ve always known that my own emotional reaction to the fiction I’m writing is a good sign, but in this case the fear was so strong that the writing of the book became an exploration of that fear as well as a piece of contemporary fiction running parallel to an infamous murder case. I had a significant turning point when I realized that the only way out of the darkness into which I had plunged so obsessively was to get the fear on the page, acknowledge it, and find an ending that would put it to rest. As with most of my fiction, I was looking not for the happy ending, but for a moment of grace, a sense of redemption. 9. What was the reaction to The Boy in the towns where the Cooks lived, the coffee shops of Stettler? Have opinions softened on Bobby Cook? And that deathbed confession by the uncle—has that simply gone down in history as myth? And what about reaction, generally, to the possible injustice served in this case; has your investigation, and the book, stirred up any hornet’s nests? BJH—Opinions on the Cook case are as divided today as they were 50 years ago. Many people who read The Boy told me they were drawn afterward to read Jack Pecover’s book on the case, and if they did I suspect they may have come away doubting the verdict. Jack’s book, The Work of Justice, The Trials of Robert Raymond Cook is a scathing account of the investigation and the trials. My intent in writing The Boy was to go beyond the legal case, beyond the infamy of Robert Cook, to lift up this very ordinary small town family and examine the tragedy from that perspective. If the book stirred up anything, it was more likely empathy for the family, including “Bobby”. The myth of the deathbed confession by the uncle comes up over and again and I suspect it will live on as such myths do. 10. Finally, how did you feel as you left Louise in that final scene? And has she left you? BJH—I have been invited to many book club to join in their discussion of The Boy, and one of the questions that comes up over and over again is whether I will return to Louise’s story in fiction, write a sequel to the novella that’s embedded in The Boy. The answer is a resounding “No!” I have a strong sense of resolution in the story Louise insisted I tell. When the box of books I arrived, I pulled one out, leafed through it quickly and then closed the covers on Louise. She’s gone silent, and I like to think she’s satisfied too. 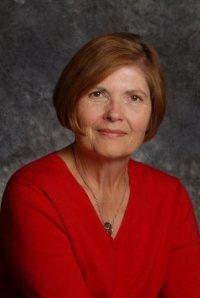 Betty Jane Hegerat is the author of two novels, a collection of short stories, and a book of creative non-fiction. A social worker by profession, Betty Jane now teaches creative writing for Continuing Education at the University of Calgary and occasional workshops in other venues. She was the 2009 Writer in Residence at the Memorial Park Library. Delivery was shortlisted for the George Bugnet Prize for Fiction in the 2010 Alberta Literary Awards. One of the jurors said of Delivery: “Domestic dysfunction never had it so good. This novel lactates with life.” The Boy was shortlisted for the 2012 City of Calgary Book Prize, the Wilfrid Eggleston Prize for non-fiction in the 2012 Alberta Awards and is a finalist in the High Plains Awards upcoming in Billings, Montana in October 2012. She can be found at her website. 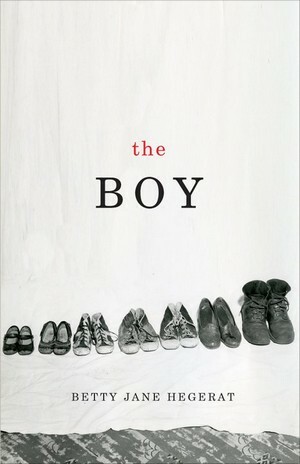 The Boy is published by Oolichan Books. I too met Betty Jane through Susan Toy and the Fernie Writer’s Conference. Since I have a friend who’s struggling with her own creative nonfiction and another friend who’s Alberta born and bred, I’ve been recommending The Boy to anyone who’ll listen. And I’m looking forward to rereading it myself. For writers, it really is an excellent writing lesson. I’ve marked it up and flipped pages back and forth so much they’re coming loose!